Which wedding DJ is right for you? At Backthird Entertainment, couples meet with their DJ several weeks before the wedding to go over plans and song requests in detail and get to know each other. All of our DJs are trained in ALL the skills it takes to make your party a success - but all of our DJs are humans, too! We all have our own personalities and our own preferred style. That's why your Account Manager will match you with a DJ whose personal style is a natural fit for your own. How do we do that? 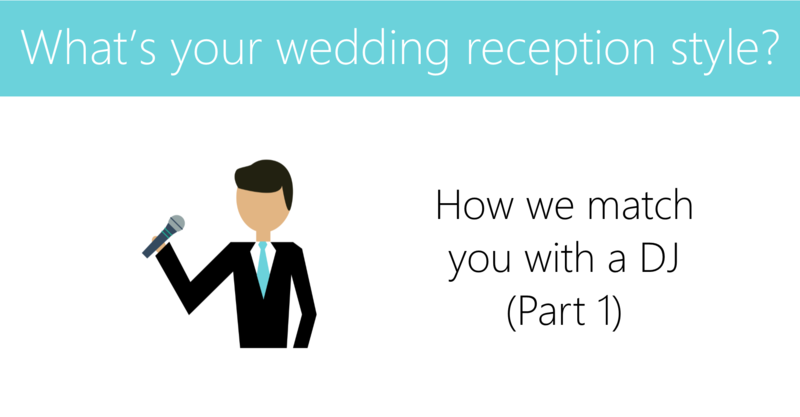 We start by talking about your personal reception style. What's your wedding reception style? In Chicago, the last 3 hours of your wedding are typically all about the dance floor. But your DJ has a lot to do before then - he or she acts as MC, directing your agenda of events during cocktail and dinner times and making sure it all goes down the way you want it, even as the right music plays. Knowing the way you want your reception to flow helps us match you with a Backthird DJ who excels most naturally in that style of event. Which of the styles below are you most like? 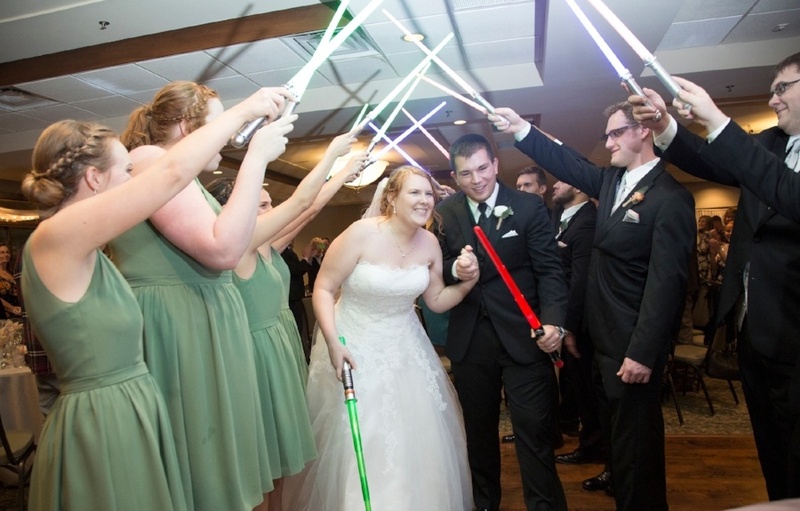 If you're a Traditional Agenda couple, you'll probably hit most of the "classic" wedding reception events - the bridal-party entrance, the bouquet toss, the cutting of the cake, the parent dances. Maybe you'll skip one here or there ("no garter toss for us, thanks!") or you'll tweak and personalize a little ("let's combine our parents dances into one dance so nobody's in the spotlight for too long"). But in general, you'd like to hit the classics for that wedding you've always been dreaming of. If you're a Minimal Agenda couple, you'll probably skip or shorten most of the "classic" wedding reception events. It's not that you hate these traditions - they're just not the most important part of the wedding reception to you. You'd rather downplay moments like the parent dances, toasts or special introductions and get into eating and dancing that much sooner. Minimal Agenda couples are likely to tell us things like "it's really about throwing a fantastic party" or "we don't need to be the center of attention, we just need everyone to have an amazing time." If you're a Unique Agenda couple, you'll probably do several wedding reception events, but in an unusual way. You've got some unusual family traditions, some important tributes, and some ideas for how to personalize things that are just 100% weird-and-wonderful you. Yes, you're looking to honor your family and your roots - but at the same time, this WON'T be your mother's wedding! You do NOT have to know exactly how your reception's going to go before you book a DJ - in fact, you'd be pretty unusual if you did! But knowing your general style - Traditional, Minimal, or Unique - can go a long way towards us matching you with a DJ who won't just do a great job at your wedding, but who will also be personally psyched to help realize your vision. And yet... planning and directing your agenda is just half your DJ's work. 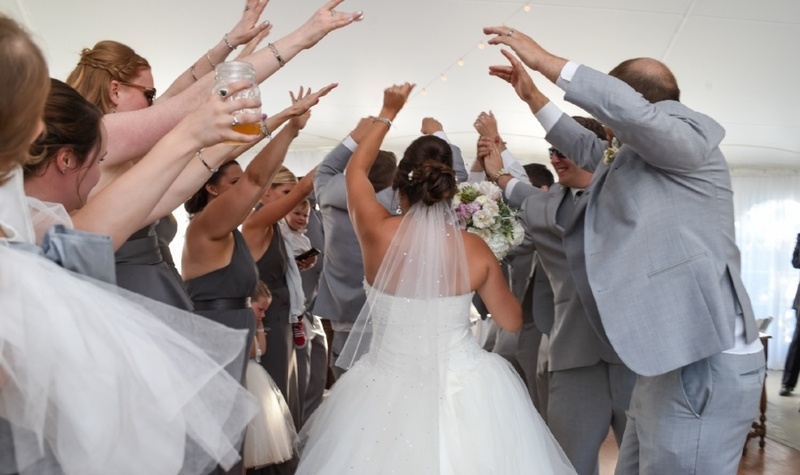 In this post, we look at the most obvious part of a DJ's job - music and dancing - and share some questions you can ask yourself to choose a wedding DJ who's a perfect musical fit for you as well.